From the time you place your order, you can expect most orders to leave within the following time frames (varying according to brand). Please Keep in mind that if you order several different items, you may receive a couple of shipments as we ship from more than one warehouse. Expidited shipping options begin once the item is shipped, not upon order placement. **We make every effor to ship items as soon as possible, but occasionally we do have delays or backorders. We will let you know as soon as possible if there is a problem with your order. We ship from multiple warehouses so you may receive multiple shipments so that we can get product to you faster. Emtek You would generally receive within 7-10 business days. Please contact us for expidited shipping options. We can change the shipping method so you can get the products sooner, but we cannot generally speed up the assembly process. You would generally receive within 2-3 Weeks. Please contact us for expidited shipping options. We can change the shipping method so you can get the products sooner, but we cannot generally speed up the assembly process. To keep your costs low we base our shipping rates on total order value rather than charge you by weight like many of our competitors do. Hardware can be very heavy so billing customers by weight would nearly always be higher than our tiered rates. Expedited shipping rates are available upon request. Choosing expidited shipping does not speed up the production process for items that are assembled per order. *Shipping rates to the right do not apply to shipments going to the Virgin Islands, Puerto Rico, Aklaska, Hawaii and Canada. Direct Door Hardware does not cover any duties, taxes or customs fees charged on international shipments. Orders to Puerto Rico or the Virgin Islands will be assessed actual shipping costs and most likely will not fit into the standard timeframes indicated below as we cannot use our standard shipping methods. If you check out online with shipping addresses to one of these locations actual shipping charges will be billed seperately once the items ship. Hardware is heavy so expidited shipping can get expensive. For your convenience we offer 3 day shipping on our website. For other options, please call us at 307-886-9449. NOTE: Standard shipping and expedited 3 business day shipping options are available online. If you need a quicker shipping option please call or email us with the complete contents of your order and the shipping address so that we may provide a quote. Keep in mind that expedited shipping options generally begin when the item is shipped, not when the order is placed. So if an item takes two weeks for manufacturing [like wildlife cabinet knobs] they will be expedited upon completion and availability. We make every effort to ship items as soon as possible. Yes, we will ship internationally. Any international orders will be billed actual shipping costs. See Shipping Door Knobs Internationally for more info. Returns or Exchanges - If, for any reason you are not happy with you hardware you can return it within 30 days of the original sale. There is a 15% restocking fee for all returns and the customer is responsible for return shipping costs. The exception to this policy is when an item is shipped incorrectly or damaged from one of our shipping warehouses. To receive refunds on returned goods, the items cannot be damaged from installation, must be in their original containers in good condition with all of the parts inside. Some of our products are shipped from different locations. Please fill out a return request, so that we can give you the correct return address. Questions about our Hardware or Website? 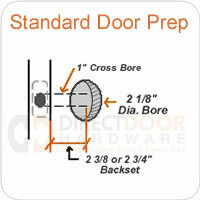 Please direct all questions to info@directdoorhardware.com. We generally respond to your emails within the hour during the day and first thing in the morning should you request info in the evening. You may also call 307-886-9449 for assistance.